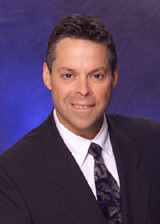 Ronald C. Gardner is a founding member and managing partner of Gardner Trabolsi & Associates. Ronald has over 34 years of litigation experience in areas that include negligence, automobile liability, construction site accidents, products liability, legal malpractice, medical malpractice, environmental cleanup, breach of contract, officers and directors fiduciary liability, underinsured motorist, and insurance coverage. A civil trial and appellate practice law firm. Payne v. Saberhagen Holdings, Inc.
Reece v. Good Samaritan Hosp. 90 Wn. App. 574, 953 P.2d 117 (1998). 134 Wn.2d 468, 951 P.2d 749 (1998). 86 Wn. App. 22, 935 P.2d 684 (1997). 80 Wn. App. 862, 912 P.2d 1044 (1996). 81 Wn. App. 579, 915 P.2d 581 (1996). 72 Wn. App. 632, 865 P.2d 527 (1993). 114 Wn.2d 454, 788 P.2d 545 (1990).